Life is a journey of necessary endings that are often also the beginning of something fresh and new. New beginnings and necessary endings go hand in hand: how you start and how you finish have as much to do with your future as the other. In fact, gracefully letting go of the past (old) will enable our head, hands, and heart to confidently take hold of the future (new). You may say, “but endings hurt”! Maybe so, but it’s about focusing on the changes that need to be made, not what is going to be the perceived or real loss. It’s recognising that a new beginning is not only an ending, but an opportunity for you to live and thrive. It boils down to this: to experience new beginnings in your life, you need to remove some things (as good as they are) to create space. Did you know that some beautiful plants actually produce more buds than they can sustain and if some buds are not removed then the space the bud needs to open and blossom is not provided? It’s a vivid image. Without pruning, we don’t reach our potential. Parents know this when their children get married; it’s a letting go that has some pain but also an acceptance of the new that brings joy and hope. Some of the things that we need to let go of are good but they are taking up space that other opportunity may now need. Let go of old hope and grasp a hold of new hope. In fact, every time we say “no” to something, we are saying “yes” to something else (and visa versa). As you read this blog, I will be on my way to the Democratic Republic of Congo for possibly the last time, after having travelled there each year for the past 7 years. On this trip I will hand over and release some very dear friends into the leadership of what’s called, “Business, Integrity and Governance” (B.I.G) – an organisation to help raise up and encourage business, education and government sectors. One thing I had to consider and battle with when I finished my leadership of B.I.G was not believing that “in finishing, I had somehow failed”. Sometimes the finish as you know it is just the next step in its ultimate success and growth. Life is full of goodbyes and hellos, of yes’s and no’s, of closing and opening, of quitting and starting. Think about your world. What needs pruning so the bud of your life’s potential can open wide to all its beauty? Recommended reading: “Necessary endings” by Dr Henry Cloud. 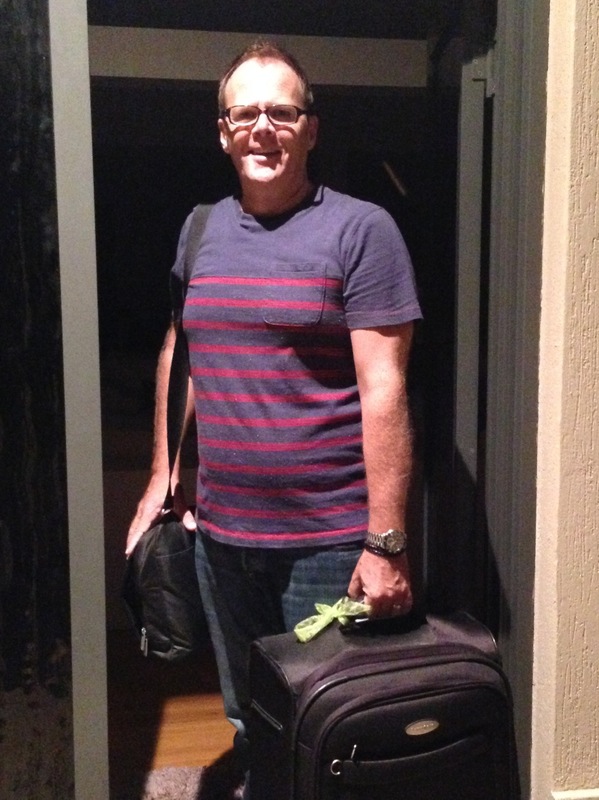 Very early this morning…flying out to the Congo today. Great blog again Phil! Have an incredible (and safe!) trip to the Congo, we will be praying for you. Thanks for your prayers Britt, the trip went very well. So good my friend! The people of the Congo will be blessed and the country will indeed reap many blessings from your dedication over the 7 years and as new leadership bears much fruit into the future. Love you mate! Thanks for your love man, back at you. Thank you for your heart and your willingness to share man. From: Fridays with Phil <comment-reply@wordpress.com> Reply-To: Fridays with Phil <comment+cix6tk7t0kfc3rb1ktw2n4@comment.wordpress.com> Date: Friday, 28 March 2014 9:57 AM To: Mark de Jong <mark.dejong@parachutemusic.com> Subject: [New post] Here’s to a new beginning! Hi Mark.. Wow that is huge but I’m sure the future is brighter and bigger then the past, as wonderful as it was. I will have fond memories of the festival. Well done to you and your family. Go Phil!!! Have the most amazing time and savour every moment! Our prayers are with you and John! Speak of hope and courage, for you have a unique perspective on these two qualities that I believe will resonate with those you meet! Thanks Clare. When I arrived they wanted me to speak on Joshua 1 “Be strong and very courageous”. Thanks for your prayers. Great words of wisdom. Our prayers are with you and your team and the Congo. Thanks your prayers are appreciated. Thank you Phil for sharing those wise words. So timely. Safe journey & look forward to reading your journey. Thanks for comment and following the journey. Home safe and sound. Thanks Pete. The trip was wonderful and filled with friends and making memories. That is really good, Phil! I will add Necessary Endings” to my reading list. Thanks for your prayers Bill, appreciate very much.